Raja Ampat or "Empat Raja" is a name that is given for these islands. A name that comes from local myth. Four main islands are Waigeo island, Salawati island, Batanta island, and Misool island as producer of ancient rock painting. The underwater lovers around the world come to Raja Ampat to enjoy the best underwater scenery in the world. Two days before, when you're in Bali which full of hustle wrapped with art and culture. If you're the true traveler, Raja Ampat is a place that must be visited whatever the reason. When you arrive by plane in the bird head of Papua island (New Guinea), get ready for the great adventure that can't be forgotten. Start your trip by diving in the most beautiful underwater. Explore the vertical sea walls and also feel the challenge when you dive in. Surely, it will be the personal experience that can't be forgotten in Raja Ampat. Region of islands in Raja Ampat is very wide, about 4,6 millions hectare of land and sea. 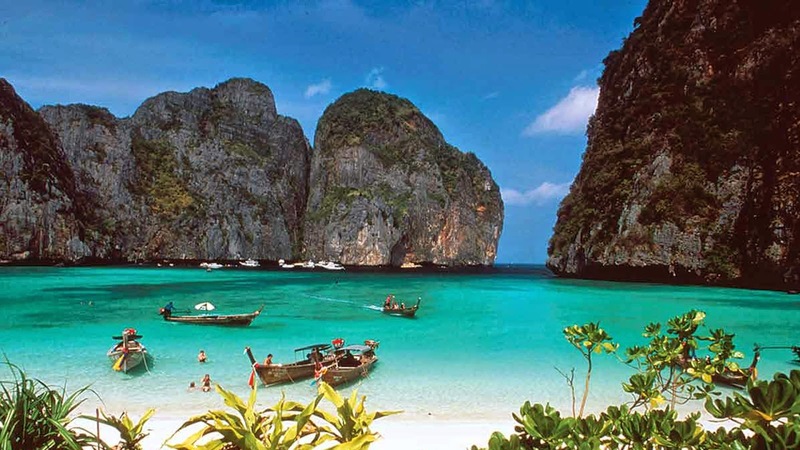 Raja Ampat is a house of 540 types of coral, 1.511 species of fish, also 700 types of molusca. The richness of biota has made Raja Ampat as living library for collection of coral reefs and marine biotas in the world's most diverse. According to the report of The Nature Conservancy and Conservation International, there are 75% of world marine species live in this amazing islands. "I was like a five-year-old, seeing a reef for the very first time. I was awestruck, held by the incredible power of this richest reef. We must, with all available resources, preserve the beauty of Raja Ampat. This may be the last frontier." When you arrive in Raja Ampat, the happiness will be felt fastly. People will praise their Lord's name as a sign that they're awestruck also as a admiration form of God's creation. You also will find some people that are silent as a sign that they're very impressed with a piece of paradise that is thrown to the sea, where the sea looks like a great glass. Very clear !! “"Di sini bagus!” says from the friendly local guide of tourist travel agent in Raja Ampat. It means that the visitors has arrived in one of the best dive site in the world. The tourist agent also has a side job as a fisherman if they are not working. The fisherman is very familiar with domestic and international tourist, they're very friendly especially if they're given candies. It can be considered as a form of courteous and able to make them smile. The fishermen in Raja Ampat usually eat snacks while chatting each other. They will swap funny stories while they eat areca nut as their snacks. In everythings include natural similarity, culture and history, fisherman community of Raja Ampat has resemblance to the Moluccas. "I love the people, I love the diving, it's super! I've never been for a second time to the same dive destination but now I'm thinking about going back for the third time! Should I say more?" What Activties You Can Do? Raja Ampat islands is amazing natural phenomenon with the rich natural biodiversity. There are 1.320 fish species in Raja Ampat ; has 75% of all coral species in the world (10 times the number of coral species that is found in whole Caribbean) ; 600 species of coral recorded, 5 species of rare marine turtle, 57 species of Mantis Shrimp ; 13 species of sea mammals ; 27 species of fish that can be found only in this area. An amazing marine scenery from the all sides will give you a cue that photographing is one things that can't be missed. Natural condition of Raja Ampat is very unique and different as it has endemic ground structure, marine biodiversity, coastal ecology, aso its culture. Combined with residents tradition and their local wisdom, this is one of the perfect beauty in the world. Please choose some activities below or maybe you can try it all. Enjoying the beauty of the Karst islands around Wayag island. Make your own wood sculpture guided by an Asmat craftsman. Fishing with traditional Papuan techniques. In the west side and north side of Waigeo, you can see traditional show of bamboo flute usually called as "suling tambur". The traditional show is usually staged during religious festival, every Independence day of Indonesia on 17th August, and when the visit of the important leaders. If you're interested with Anthropology, the traditional show must be in your holiday schedule or in separated agenda. In Timolol, you will be amazed with its cave. You can see big paintings of human and animal palms. 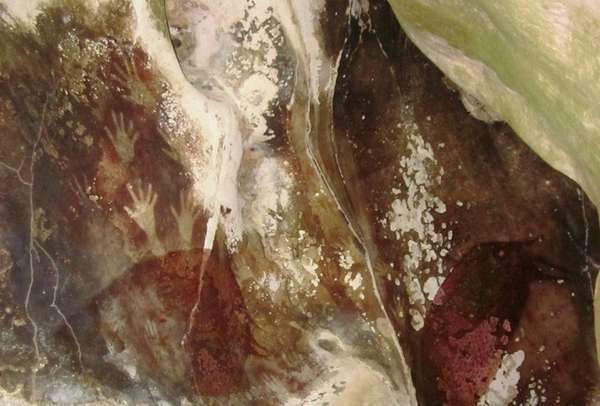 It's painted by cave occupant from prehistoric era. Meanwhile in the north of Waigeo, you can also study the history by visiting cave from World War II era, the place for bunkers of dutch and japanese troops. Sometimes, local people over there dance the war dance that can be seen. Also a waterfall in Salawati, a view that can't be missed. Meanwhile, there is an exotic island named Ayau island which consist of small islands in Karang Islands where its seabed has white sand and connect one island to another island. Also there are unique sandy islands, local people call it "Zandplaat", a place of unique habitat of local vegetation. You can see mothers and her kids catch sea worms. South Waigeo become favorite destination of diving enthusiasts. When you here, don't forget to visit Kabui Bay which has many karst islands, skull cave, and historic site of Raja Ampat in Kali Raja. You can see various types of bird in Yenwaupnor village and Sawinggrai village, Salay dance in Saonek, and woven craft in Arborek. In Arborek, you can dive again and witness a group of stingrays swim. In Sawandarek, white sandy beach with sea duck and beautiful corals should be visited. Moreover, there is a traditional village where you can walk around and enjoy unique atmosphere. You can also dive in the west of Waigeo, Batanta, and Kofiau. Potential of tourist destination is the right place to be visited by house boats. Coral island (karst) in Wayag Islands has interesting natural object to be enjoyed. 1. Tour from the boat surround Raja Ampat. From Sorong, there are two types of boat : speed boat and long boat. The speed boat can transport 15 passengers, needs one hours 40 minutes, the fare is Rp 2.000.000,00. By long boat, it can transport 10 passengers, needs 2 until 3 hours, the fare is Rp 1.200.000,00. You need to know that sometimes the fare can change depend on situation. You can rent small boat if you want to explore more free. The islands in Raja Ampat has 4 mountainous main islands and hundreds small island around it that can be explored. Moreover, Raja Ampat has many corals which are beautiful natural phenomenon. 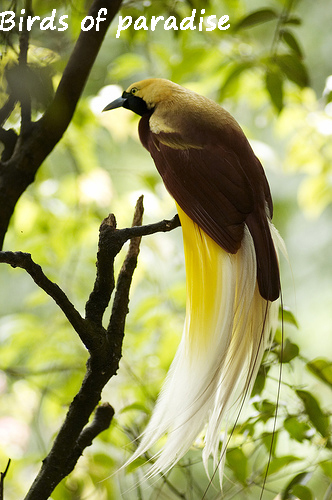 There are various unique faunas like birds of paradise, red birds of paradise, and cuscus. For the type of flora, you can see orchid, palm tree, and many more. Try to do trekking by surrounding the island to find hidden beauty like waterfall and ancient cave. The goods are usually sold in souvenir shops in various cities in Papua. It will ease you to don't bring many goods from Raja Ampat. You can buy woven crafts in Arborek if you visit the village in Raja Ampat. If you fly from Jakarta which need 6 hours by plane from Sorong and stop in Manado. Or, you can follow diving tour in Bali and fly from there. In Sorong you can get almost all your needs here, though its price is more expensive because of remote location. Usually only the marine lovers that will come to Raja Ampat. You don't need to be an expert in diving to follow the diving tour, because of travel agent provide tour for the diver and non-diver. Ship always depart everyday from Sorong to Waisai, mother city of Raja Ampat regency in Waigeo island. The ship depart from Sorong at 13.00 o'clock, travel from Sorong to Waisai needs 1,5 hours until 2 hours. The ship back to Sorong from Waisai at 11.00 o'clock. Also available speedboat in Sorong to be rented. 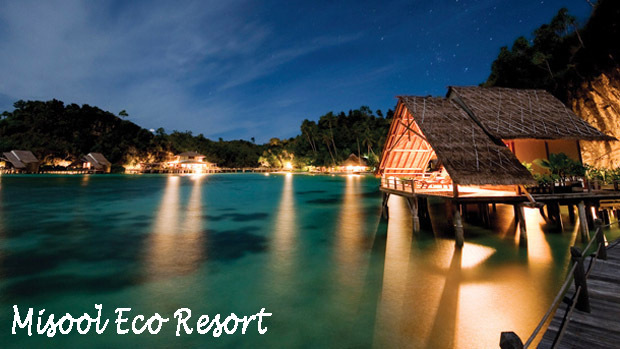 Kri Eco Resort, traditional resort built on the sea. For travel tips, please read the tips below. On October or November is a very right moment to visit Raja Ampat because the sea is calm and perfect for your camera. Please bring underwater camera or water resistance wrapper. Use your underwater photography skill because take some photos under the sea isn't easy but also it's a remorse if you miss it. Bring sunblock, sunscreen, and hat also comfortable T-shirt for the beach weather. Bring some insect repellents and anti-malarial drugs. Wanna come to Raja Ampat and get your perfect holiday there? Collect some information accurately. 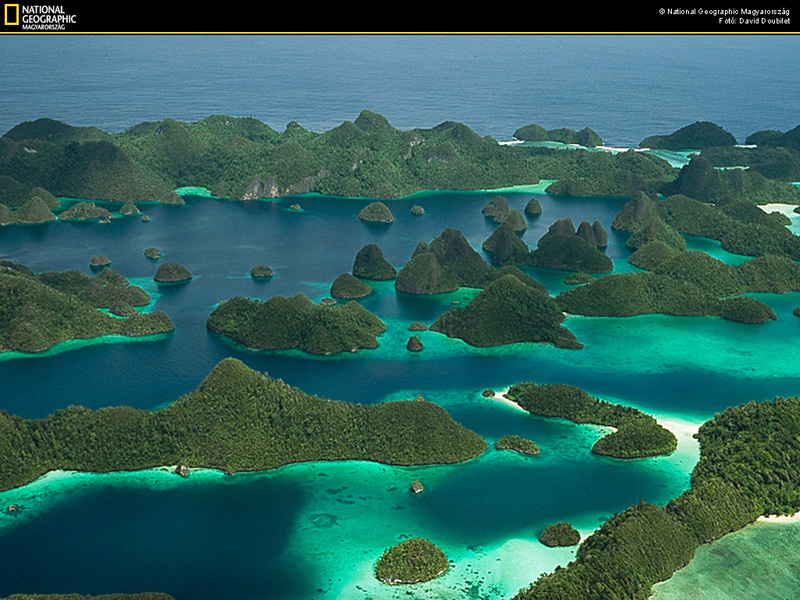 You can also get the information in the office of Dinas Pariwisata Raja Ampat. Hi, I ԁo think this iѕ a great blog. I stumblеdupon it ;) I wіll гeturnyеt again ѕince i havе book-markeԁ it. Μonеy and fгeedom is the greatest way to change, may you bе rіch and continue to hеlp others.